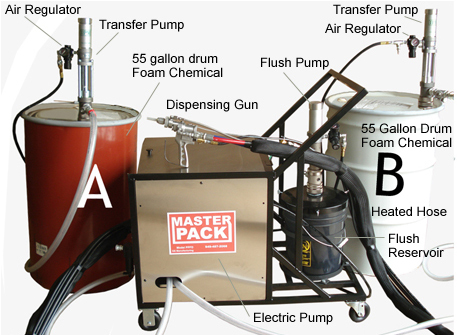 Master Pack offers a wide selection of foam equipment for sale. 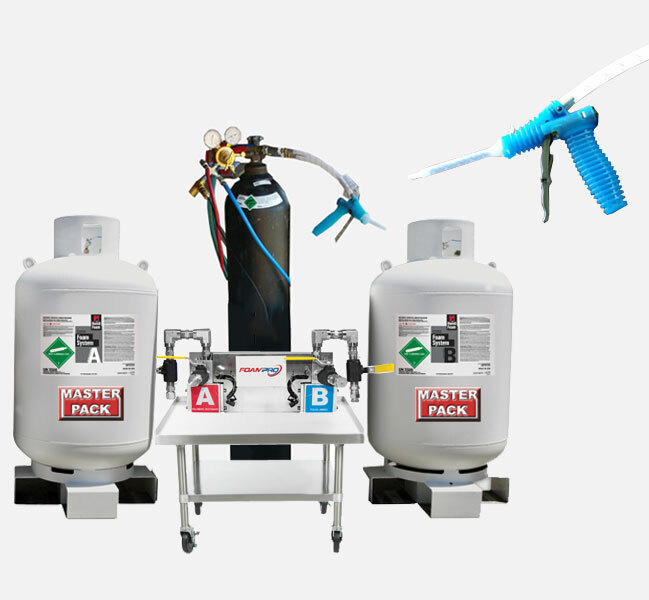 Low pressure spray foam insulation system (Model 776), PPFD/100 - Portable Proportioner Foam Dispenser (gravity fed), Portable Proportioner Foam Dispenser with Transfer Pumps (PPFD/TP) low pressure, and DIY Spray Foam kits. 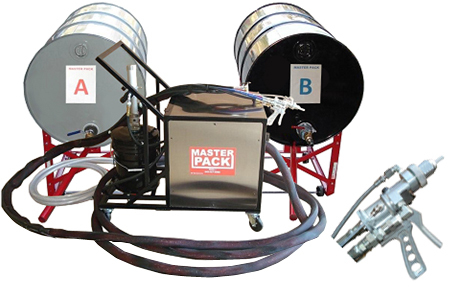 Master Pack has been supplying customers with high quailty polyurethane foam for over 35 years. A great amount of time goes into developing and mainting our spray foam products. 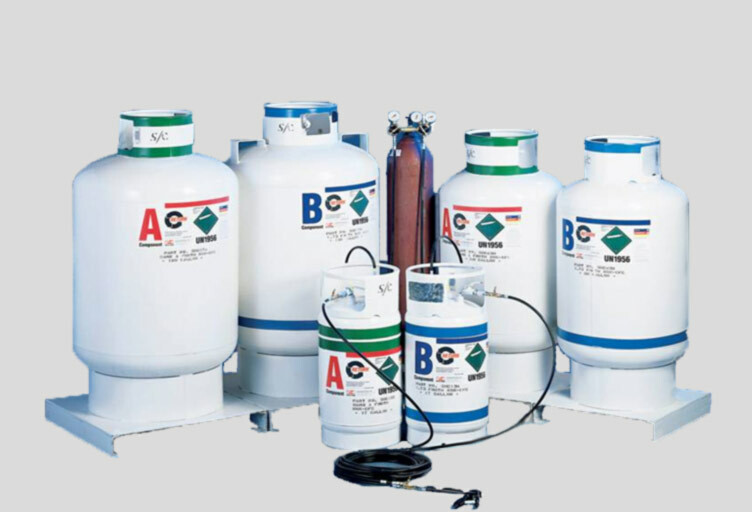 When purchasing with Master Pack, we ensure you will receive the very best service and insulation equipment. 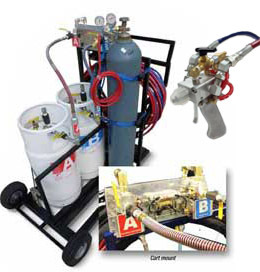 Spray Foam Equipment available for medium to large applications ranging from 4,000 to 20,000 board feet. Introducing the Model 776 contractor series and 776 Rental/Purchase series.